Historically, ovens and incubators have been distinct cousins in the lab. “Ovens have a wide temperature range but less accuracy,” says Ross, “and incubators have less temperature range but more accuracy.” He adds, “But they are really closely related.” In fact, advances in research demand even closer capabilities from these devices. As Ross explains, “Applications are asking for wider temperature range and close, tight specifications for accuracy. That has to do with the development of new materials like plastics and nanomaterials being used for batteries and all sorts of things.” The platform that provides those temperature and accuracy features is really a hybrid between an oven and an incubator. 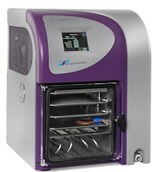 Learn more about the AdVantage Pro Freeze Dryer / Lyophilizer on the SP Scientific website. Visit the Harvard Apparatus website the learn more about the Pump 11 Elite. Vibrating, eating and melting tubes. I have a Cole 77200-60 easy load pump that O us for wastewater dewatering emulsion polymer, naptha base. I recently changed the tubing with HV-06509-24, Masterflex Tygon E-Lab (E-3603) Pump tubing, L/S 24, 50ft and HV-06509-15, Masterflex Tygon E-Lab Tubing (E-3603), L/S 15,50 ft. The pump is eating or melting the tubing and the pump is vibrating and showing an error message when it starts. Do you have any idea what this could be? Advise this member. I have a Vacuum Oven in my lab and would like to command it with my PC computer. How can I do that? Just connecting with the device or I need a program? Thank you for your help! Advise this member. I have 2 Dentsply Vulcan A-130 burnout ovens that when plugged in and turned on the pyrometer gauge pegs out at the top and the unit does not heat. I accidentally shorted one of the triacs on one unit and now the unit heats up but it is at full blast at all times since the triac just stays conducting. Anyone have this problem and know what may be causing it? Thank you! Advise this member. The CeramPump® QDX Hazardous Duty Metering Pump from Fluid Metering has proven to be an excellent choice for methanol metering for waste water denitrification due to its unique valveless design. This is especially applicable in small to mid-size treatment facilities where flow rates are extremely low causing valved pump designs to become air-bound and lose prime. Read more. ECIS pFlow pumps are fully programmable via USB or RS232 interfaces, and since each pump has a unique USB address, multiple pumps can be run from one PC. Programmed flow profiles can be stored within the pump memory allowing one to disconnect the pump from the controlling computer for remote runs. Read more. QuantAnalytics allows analysts to filter results by group or based on a clinician’s orders. This expedites data processing by eliminating the need to sift through analytes of no interest. In addition to making it easier to see if a result is positive or negative, the software can automatically flag data that is outside acceptable criteria, which allows the analyst to accept, reject, or rerun a sample. Read more. As a family-owned company, BINDER is solely focused on simulation chambers. BINDER is the world's largest specialist in simulation chambers for the scientific and industrial laboratory. More than 22,000 units leave their plant in Tuttlingen, Germany annually. Mature advanced technologies, pioneering innovations and absolute precision characterize the brand image of BINDER. Their focus lies on the perfect simulation of biological, chemical and physical environmental influences for a variety of industries. The three red triangles stand for superior products, best service package and professional consulting. These are the "Best conditions for your success". In addition to their product range, they offer their customers a comprehensive selection of options and accessories. They can optimize standard units to their requirements profile. With BINDER INDIVIDUAL, customized solutions are even possible based on their standard units. Visit the BINDER website to see their full product line. How do I calibrate the Memmert UFB 500? Advise this member. Have an SP4 that shuts down due to high pressure conditions, however all lines are running freely. The diagnostics under "Pump Optical Switch" sporadically indicates 'fault'. Does the switch need replacing? Cleaning? Any advice? Advise this member. We recently had a centrifuge mishap and threw a bucket. It was low speed ~200 rpm, but we managed to break something and it no longer works. When the centrifuge is turned on, it boots up and displays the model: Allegra X-12R Beckman Coulter... It then displays: V112 Program: b5eb Memory: ffff... It then reboots and repeats the sequence. Through the entire process none of the buttons seem to work. The door will not open, it won't pulse, enter, run, show set or anything else. Any ideas? Advise this member.